Leyard and Planar announced the companies will serve as the display provider for SEAT 2018, the Sports and Entertainment Alliance in Technology event, taking place July 21-24 in Dallas, Texas. As the display sponsor for SEAT 2018, Leyard and Planar will showcase their innovative LED and LCD digital display and video wall technologies throughout the event. Leyard and Planar will provide LED and LCD video walls and a variety of touch-enabled 4K LCD displays for social media walls, conference room displays and the general conference “Super Sessions”. Leyard and Planar’s participation at SEAT 2018 follows the hiring of sports industry veteran Douglas Moss to support the companies’ focus on the sports and entertainment markets. Moss brings more than 30 years of experience working with leading sporting organizations including the Madison Square Garden Network and National Hockey League teams, the Buffalo Sabres, the Phoenix Coyotes, and the Anaheim Ducks, among others. 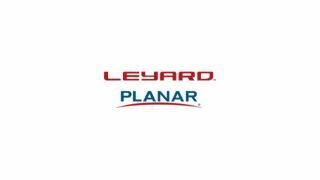 “We are delighted to have Leyard and Planar as a strategic partner for SEAT 2018 and to showcase their world-class display solutions throughout the event,” said Christine Stoffel, founder and CEO, SEAT, LLC.